Condensers are used in power plants, chemical plants as well as various other industrial plants. 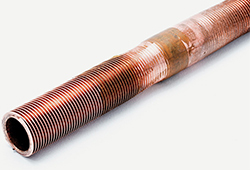 The paramagnetic tubes of brass, cupronickel, stainless steel or titanium usually present are tested highly efficiently using eddy current (up to 700 tubes per shift/team). The accuracy of the test results is at ± 10 %. In addition, the erosion through droplet erosion present in power plants can be detected with a detection limit of approx. 0.2 mm defect size with highly sensitive probes. 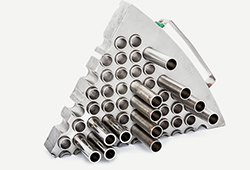 Heat exchangers can be found in almost all chemical plants. Where other test methods like IRIS or RFT fail at testing airfin cooler tubes, DELTA TEST can competently perform test tasks. The advantage of this inspection method is that the channel of the air cooler does not need to be dismounted for a test. Very precise test results are achieved during inspections of carbon steel tubes, as the cooling fins do not affect testing. Specifically for high-pressure tubes, i.e. stainless steel pipes with a wall thickness over 5 mm, DELTA TEST has realised a test system for complete control. With this, cracks and material homogeneities are detected in one pass on the internal and external surface of the tube and documented with precise location via C-scan. For this, an adjustable and mobile test device is available in our efficient laboratory. 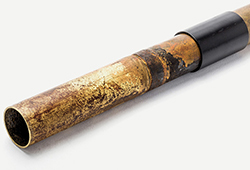 The probe systems developed by DELTA TEST enable damage detection in tube sections that are difficult to access. For this, rotating as well as integral probes in a flexible guideway system are used. 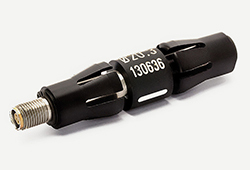 The probe system is able to pass through several tube bends and overcome changes of the inner tube diameter (swaging). This is difficult to realise with other NDT methods. Testing U tube heat exchangers is very difficult due to the tube sections bent to different degrees. Standard sensors cannot be used in these bends, but specifically adjusted, flexible sensors are required. Additionally, U tube coolers can remain in their casing, which means significantly reduced costs for dismounting. 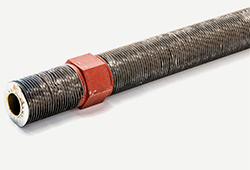 Testing tube ends in expanded or tube sheet areas is a big problem for integral standard eddy current probes. DELTA TEST has developed a rotating probe system specifically for this challenge. It enables us to test paramagnetic as well as ferromagnetic tubes in the tube sheet area for cracks, corrosion or other inhomogeneities. Testing tube ends is very efficient, whereby up to 2,500 tube ends can be inspected, analysed and documented per shift/team. This rotating tube system is of course also available for testing the entire tube length, and for bended tubes.